Malai kofta is a wonderful indian dish which is curry based with gentle spices. The gravy is rich and creamy in terms of texture, with a subtle sweetness in the background. Curry Week, 9-15 October 2017, is coming up and I want to make sure that you have the best possible recipes at hand. 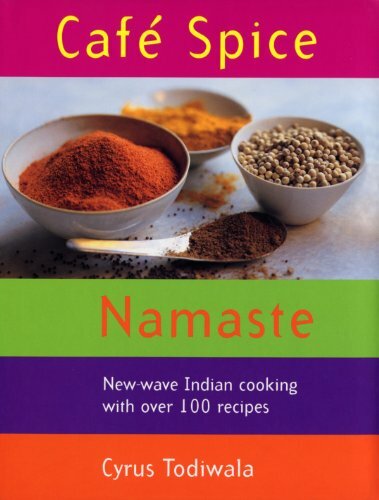 I bet you have a favourite Indian curry recipe. Care to share which one it is? Leave a comment! Instead of making the usual curries like korma or tikka masala with chicken, this time I want to raise awareness using a different meat. The main ingredient for the malai kofta is minced lamb which you then roll into little balls and finish in the curry sauce. These little babies are really fun to make, not to mention easy! Word from the wise: if you plan to serve this dish to your kids, go easy on the spices. Eliminate the chili and you should be fine. Has the thought of cooking lamb intimidated you? The ‘Lamb Tasty Easy Fun’ is a campaign to counter this exact problem. The aim of this EU campaign is to increase the use of lamb in the average kitchen. A lot of people think lamb is difficult to cook, expensive, or just for Sunday roasts. Wrong! Lamb is both nutritious and easy to prepare. Oh, and it works so well with Indian or other Middle Eastern spices. You can easily obtain beautiful cuts in the supermarkets nowadays, which are are already prepped. There’s no need to spend hours on trimming the fat and gristle. Lamb is a versatile ingredient. There are a lot of things you can do with lamb. Malai kofta is just one example and with tapas and sharing platters being all the rage these days, there is a lot of scope to play with. It’s all about being creative and eager to try new flavours and unique combinations. If you visit this site, you can find out all the information on the different lamb cuts and preparing different types of dishes with the meat. You can find all types of lamb recipes there, including using lamb in a tart, risotto… literally anything! Coming back to malai kofta, did you know, that the malai kofta is originally a vegetarian recipe? It’s actually one of the more popular vegetarian dishes you’d expect to find in restaurants. If you translate malai kofta to their literal meaning, things will start to make sense. Malai means cream, and kofta stands for friend dumplings or fried balls. The koftas are generally made out of mashed potatoes or other types of vegetables. In this case I tweaked the recipe to include lamb, hence the addition of “gosht” in the title. Generally, people compare the koftas to falafels or little kebabs. If you think of falafels, they are from chickpeas and then they are deep-fried. In comparison, you need to pan fry or even oven-bake the koftas. No need for the excess oil. Lamb mince is an excellent choice for making burgers, patties, dumplings or even making pies. Since it is quite a fatty meat, there is no need to add extra oil when frying. So if you are currently counting calories, omit the oil. Other ideas for lamb mince are lamb keema, different types of koftas, or even a classic shepherd’s pie. I ‘ve made a BBQ pulled lamb burger before, and it turned out to be an excellent addition to any party platter. What’s great about the lamb mince is that you can cook dishes from numerous cuisines, such as Moroccan, Indian, Persian, British, etc. I used ginger, chili and garlic to incorporate those lovely Asian flavours. In order for this to happen, you need to chop everything really finely. You can either use a food processor or a blender. My preference is a blender, however sometimes it requires a tiny bit of water so your ingredients actually mix together. Dicing the vegetables by hand will take you maybe fifteen minutes more, so it really depends on you, how pressed you are with time. For all my vegetarian fans out there, I have a solution for you guys too. As this dish is originally vegetarian, don’t even hesitate for a second making the potato koftas. However, if you want to try something new with the malai sauce, why not use the chana tikki? Chana tikki is a lovely chickpea patty with Indian flavours, that will go perfectly with the creamy malai sauce. Try it and see how it works out for you. Malai Kofta Gosht are Indian lamb meatballs with a creamy spicy sauce. You’ll need minced lamb, ginger, onion, garlic, pepper, tomato paste and spices! Place the ginger, chillies and garlic in a small food processor and blend until everything is finely chopped. Alternatively, do this by hand. Place the spice mixture, paprika, salt and lamb in a big bowl and mix everything until all ingredients are evenly distributed. Wet your hands and roll the mixture into 16 meatballs of equal size. Heat a non-stick pan and frying pan and brown the meatballs. Remove the meatballs and then add the oil and onions. Fry the onions until translucent and softened, then add 250ml (1 cup) of water and let it bubble. Add the cumin, coriander, turmeric, chilli powder and Garam Masala, tomato puree, and stir. Return the meatballs to the pan then reduce the heat to low and leave to simmer for 6-8 minutes or until cooked. Swirl in the cream and sprinkled with almonds and coriander. If you’d like to save on calories, fry the meatballs without oil when browning. The meat’s fat content is quite high. My favourite way is in a curry – I haven’t had much experience of kofta! Its delicious. Give it a go! I like it with beef or chicken, but lamb is the most traditional meat of choice. I serve it either with naan, garlic naan or plain steamed rice. Malai kofta is one of my favourite dishes to order when we eat out but I’ve never made it myself; I will definitely be giving your sauce a try! ooh, that does look good. I love lamb in a curry and this looks super tasty. I love Indian food and I love Kofta, so Indian Kofta is something that I must try. The spice mix sounds really delicious!